Louisa May Alcott books were a childhood favourite of mine. Her most well-known book is LIttle Women, popularised more recently by the 1994 film starring Winona Ryder. The film, and many versions of the book, include both the first and second book in the series, Good Wives. 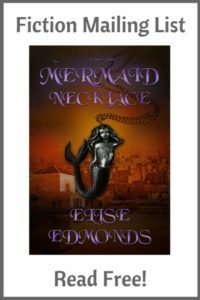 The plot follows the adventures of four sisters through their teen years and into their early twenties. Each sister has a very different personality. Meg is the lady-like one with a weakness for finery. Jo is the tomboy who has to tame her wild ways. Beth is the delicate invalid, and Amy is the school-girl with a turn for absurd French phrases and a love for art. Each girl has a different path to follow, and as they grow older and go their separate ways, the book follows each girl in turn through the trials and tribulations of life and love. The third book in the series is called Little Men and focuses on Jo, who by this time is running a private school for boys. These boys, for one reason or another, don’t fit into the traditional school system. This book is almost a series of vignettes in the lives of the boys, with our friends from the first book making an appearance as adults from time to time. However, as a young girl I found it readable and entertaining. The final book in the series is aimed at a more grown-up audience, and I didn’t enjoy it until later in my teens. The book Jo’s Boys deals with all our friends from the three previous books, and again is quite episodic, flitting between the lives of various of the young men and women. Some sections I preferred more than others, but overall it’s a great read. Jo was always my favourite of the sisters. I identified with her tomboy nature and desire to be independent and get out there and see things. Her impetuous nature, and her writing career all appealed to me. Even as an adult she had a tendency to be clumsy and thoughtless at times, although her marriage brought out her good qualities and caring nature. for girls in their teens," answered Rose, primly. a look and a gesture that made Rose scurry away as fast as she could go. panting, with cheeks as rosy as the rigolette on her shoulders. you can take a long breath without panting so." sigh of relief that flatly contradicted her words. run," explained Rose, rather discomfited by this discovery. in a stiff band of leather and steel just when it ought to be growing,"
watching him pull her precious belt about. like that of a fashion-plate the ugliest thing imaginable." leather. Just smell how nice." I've got no end of Italian scarfs and Turkish sashes among my traps. Ah! had suddenly dimpled with a smile. I should mention, that all the books referenced in this post are in the public domain and available to read on Project Gutenberg. This passage, however old, still doesn’t feel out of date. Girls of today can still identify with Rose’s trials and tribulations, such as they are. Again, I love the independent streak that Rose has. She has a determination to make something of herself and do the best she can with her own abilities. You can probably determine that Rose’s love interests are among her cousins, which I imagine seemed a typical solution in that day and age. It seemed fairly natural to some extent, as Rose didn’t meet any of the boys until she was a teenager. The financial issues dealt with in this book are interesting: family wealth, marriage out of one’s station, and philanthropy as a profession. A book more for older children than the first one, as the adventures are more grown up and less childish, but again very enjoyable. So, I hope I’ve inspired you to pick up an old favourite, or perhaps search out a new children’s classic. Sometimes, the old stories really are the best. 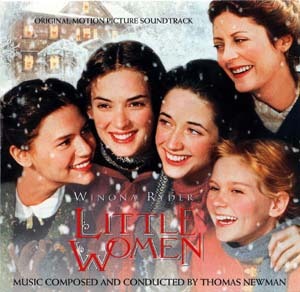 I loved the “Little Women” but I didn’t know that there are sequels. Now I have more to add on my lists. The sequel sounds inviting. It’s like I’m going to find things I love.